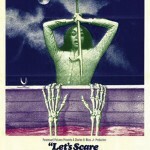 Considered by some a classic in the horror genre, Let’s Scare Jessica to Death is a low-budget film that follows Jessica, her husband Duncan, and their friend Woody. The trio have all moved from New York to Connecticut, following Jessica’s recent release from a mental institution due to her constantly hearing voices in her head. But when the three arrive at the old Bishop place, they find a squatter, Emily, living in their new home, who they ask to stay (yes, that actually happens). When Jessica notices that Woody is smitten with Emily, Jessica convinces her to stay indefinitely. Soon, things get spooky as Jessica begins seeing a young, mute girl appearing and disappearing about the property. What’s worse, the visions are no longer just in Jessica’s head. 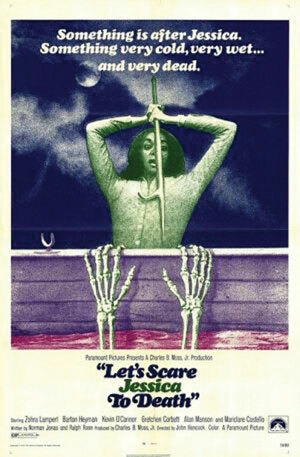 However, Let’s Scare Jessica to Death no longer holds the same level of fright as it may have in the early 70s. In fact, between the slow pacing and the lackluster visuals, it is actually quite funny and definitely my first top pick for the best bad movie I’ve seen on Netflix. If you’re a fan of the classic coming-of-age buddy comedy, then Accepted is for you. 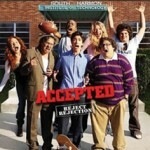 Starring Justin Long and Jonah Hill, Accepted is the older sibling of the ever-popular high school tale. The story follows Barnaby Gaines (Long) and his gang of friends, none of whom were accepted into any colleges – that is, except for his best friend, Sherman Schrader III (Hill), who was accepted into his father’s alma mater. Under a lot of pressure from his father to make something of himself, Barnaby’s rejection from every college leaves him deperate. So, instead of disappointing his father, Barnaby creates his own college, South Harmon Institute of Technology (S. H. I. T.). But to his surprise, hundreds of students show up for orientation day — all of whom received acceptance to South Harmon. When Harmon College – the real university in town – catches wind of S. H. I. T., Barnaby has to fight to keep his scam alive. 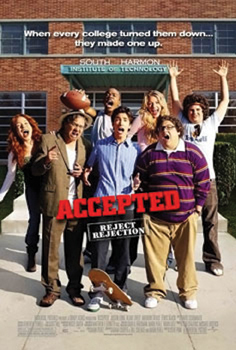 Accepted is surprisingly touching for a film built around the most clichéd college-kid stereotypes, and has just enough crude humour and slapstick comedy to be worth watching. 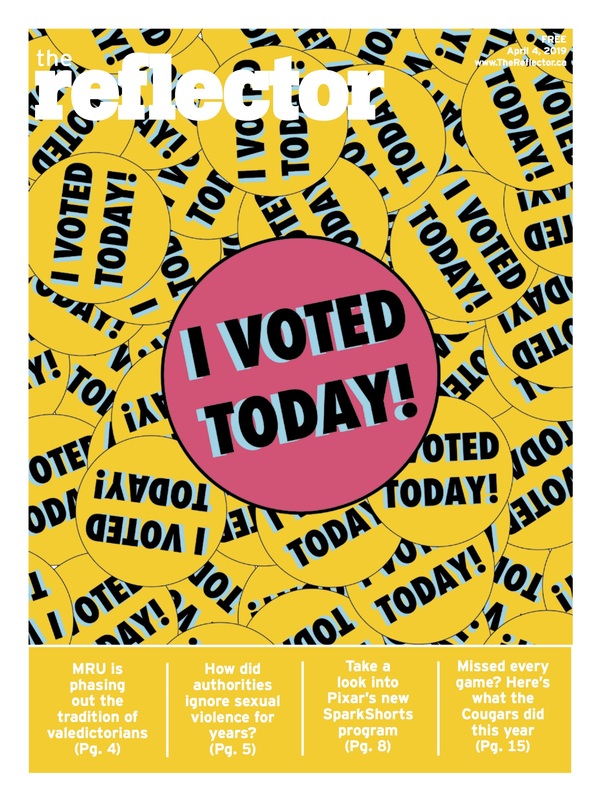 For those of us who grew up watching Timmy Turner’s adventures in Dimmsdale with his Fairy Godparents, Cosmo and Wanda, this choice is for you. Loaded with nostalgia, A Fairly Odd Movie celebrates the 10th anniversary of Fairly OddParents with a live-action rendition of the beloved cartoon. 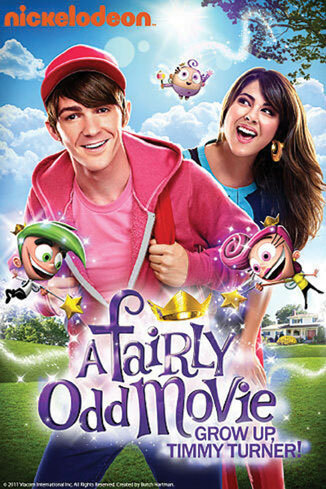 With Drake Bell and Daniella Monet (both of former Nickelodeon fame) taking on the live-version roles of Timmy Turner and Tootie, respectively, this film sees Timmy at age 23, struggling to stay young forever. Still in the fifth grade and living at his parents’ house, growing up for Timmy means losing Cosmo and Wanda forever, which definitely means he cannot fall in love. Cue Tootie, who starts to fill Timmy’s Love Meter, and puts Cosmo and Wanda’s future with Timmy in jeopardy. A Fairly Odd Movie is surprisingly accurate to the animated TV series, with everything from the cartoon style of Mr. Turner’s necktie and Crocker’s strange, hyperbolic enthusiasm when it comes to capturing Cosmo and Wanda. In any case, this film will get you right in the childhood. When you sit down to watch Rubber, be prepared for a seriously bizarre hour-and-a-half. 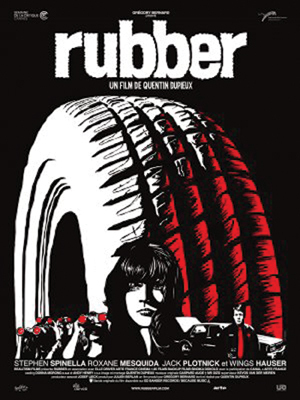 Written and directed by French filmmaker Quentin Dupieux, and premiered at the 2010 Cannes Film Festival, Rubber opens with a group of spectators gathered in the desert to watch a “film”. As it turns out, the “film” follows Robert, a rubber tire that suddenly comes to life in the middle of the desert and sets off on the strangest killing spree imaginable. From humble beginnings — like crushing an old can and a used water bottle — Robert soon sets off in search for bigger and better kills: people. 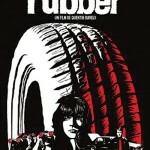 As it is mentioned in the opening of the film, Rubber is an homage to the “for no reason” aspect of many popular film plots, and that is very evident throughout the film. It will definitely leave you with many unanswered questions to say the least. Rubber is a worthy attempt by Dupieux at experimenting with the medium of film. If nothing else, it is an excellent way to put off writing your paper for another 82 minutes. Previous story Faith Column: Can thiests and athiests live at peace?